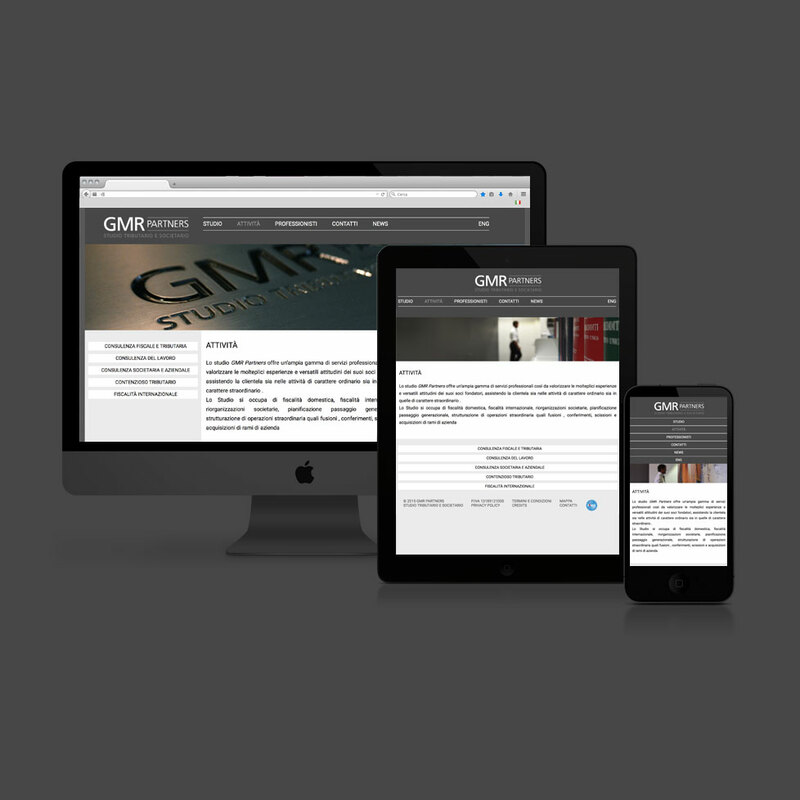 Logotype, corporate identity and website wireframe for GMR Partners professional studio. Two horizontal lines seem to protect the word “PARTNERS”. The Frutiger is the typeface used in this rational and clean logotype.